Great office, travel and school item. Ever wonder where you put that flash drive? Think about getting one to go on your key-chain then decide you really don’t want to add another item to your chain? Here is a great idea for you. Looks like a dog tag, can be worn like a dog tag, and can be decorated like a dog tag. 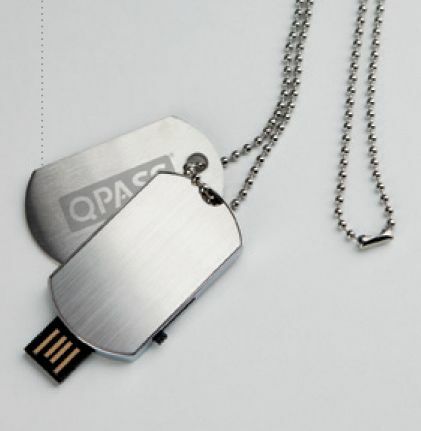 Where it around your neck when you will need a USB drive and never worry where you put it again.